After Scott McLemore returned to Iceland following his second performance with the late guitarist John Abercrombie, every time he sat at the piano in his home in Kópavogur he could still hear the sound of Abercrombie’s guitar singing along with any melody he came up with. He knew the next album he made had to be centered around the guitar. 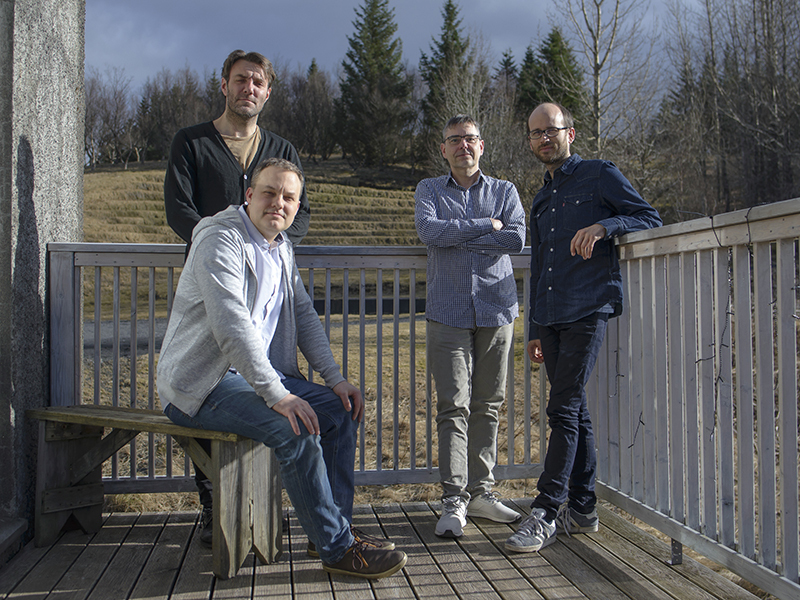 Last March the American-born drummer brought French guitarist Pierre Perchaud and Norwegian bassist Mats Eilertsen to Iceland to record and perform along with Icelandic guitarist Hilmar Jensson. The four musicians weave around each other with lyricism and delicacy, creating a colorful narrative that is sure to capture the listeners. This will be the album-release concert of that recording. The great bassist Nicolas Moreaux, also from Paris, will replace Eilertsen on this occasion. Program is in the making!